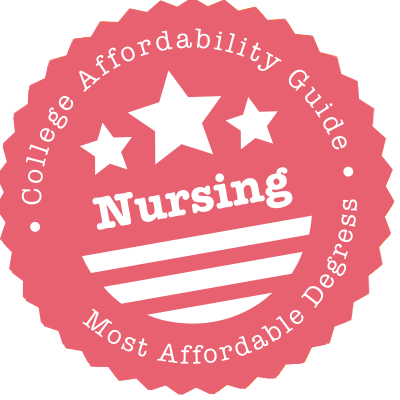 Scroll down to see the most affordable nursing degrees, as well as info on the different types of nursing degrees and nursing program accreditation. The Bachelor of Science in Nursing Science degree at UC Irvine is accredited by the Commission on Collegiate Nursing Education (CCNE). In addition to earning the BSN degree, graduates of the program are eligible to sit for the NCLEX exam for nursing licensure. The Master of Science in Nursing Science program offers two areas of concentration: Family Nurse Practitioner (FNP) and Adult/Gerontological Primary Care Nurse Practitioner (AGPCNP). There is also a Doctor of Philosophy in Nursing degree available with the following focus areas: health promotion and disease prevention, health disparities and diversity, disease and symptom management, and health services and health policy. Upper division nursing students can apply for the Dr. John R. Miltner/Irvine Health Foundation Endowed Memorial Scholarship ($5,000). The School of Nursing at the University of North Carolina - Chapel Hill offers the following programs of study: traditional BSN program, accelerated BSN program (for students with non-nursing bachelor's degrees), MSN program with advanced practice and healthcare systems specialties, Post-MSN option in advanced practice specialties, Ph.D. program in nursing science, pre-doctoral and post-doctoral fellowships, and Doctor of Nursing Practice. It is one of only three schools of nursing in the nation to offer the Hillman Scholars Program in Nursing Innovation, which gives outstanding undergraduate nursing students to chance to enroll concurrently as BSN and PhD students. The UNC SON has Commission on Collegiate Nursing Education and North Carolina Board of Nursing accreditation through 2021. Students who complete the Bachelor of Science in Nursing (BSN) program at UCLA's School of Nursing are eligible to sit for the National Council Licensing Examination (NCLEX) to become a registered nurse. There is also a Master of Science in Nursing (MSN) degree offered. A two-year pre-licensure option within the MSN program is available for students with a non-nursing baccalaureate degree. MSN graduates are eligible to take the Clinical Nurse Leader certification exam and apply for a Public Health Nursing Certificate. An MSN - Advanced Practice program and a Doctor of Philosophy in Nursing degree are also available. Students in the MSN - Advanced Practice program can choose to specialize as a nurse practitioner or as a clinical nurse specialist. UIC's College of Nursing (CON) is among the best in the nation, according to U.S. News and World Report's 2018 rankings. And students at most academic levels can attend any of six regional campuses to avoid relocation costs. CON has placed in the top four for funding from the National Institutes of Health 25 years straight, freeing up money for financial aid. BSN-seekers and graduate students alike can apply for awards by early March; they are distributed on the basis of academic merit, financial need and extracurricular involvement. Those in the Master of Science, DNP or PhD programs are eligible for assistantships. Students with short-term financial troubles can tap into the Skelly Charitable Foundation Emergency Fund. The School of Nursing at the University of Minnesota Twin Cities was the first in the country to offer Doctor of Nursing Practice programs in Certified Nurse Anesthetist, Nursing Informatics and Health Innovation and Leadership. The Healthy Communities Innovations Center, the school's 11,000 square foot learning simulation center, provides opportunities for complex simulations involving the latest in healthcare technology and procedures. The school has the following degree programs: Bachelor of Science in Nursing (BSN), Master of Nursing (MN), Ph.D. and a Doctor of Nursing Practice (DNP). Its DNP program is the third largest in the country with 13 areas of specializations. The nursing programs at the University of Minnesota are accredited by the Commission on Collegiate Nursing Education. Westfield State runs two Bachelor of Science in Nursing programs. One is a 12-24 month program for registered RNs that it says is the cheapest in Western Massachusetts. Students can take the program at Westfield or at Springfield Technical Community College. The other is for incoming students without prior nursing training. The department is large enough to sponsor two student organizations - the Nursing Club and EMS club - and it joined Sigma Theta Tau International Honors Society of Nursing in 2017. Although Westfield does not have an MSN, it goes one better: It is the only school in the state with a Master of Science in Physician Assistant Studies, which it added in 2018. Appalachian State University's Department of Nursing offers a BSN program for students who do not yet have a registered nursing license and an online RN-BSN for registered nurses who want to earn a bachelor's degree. Students who enter the BSN program as freshmen spend their first two years completing pre-requisite and general education courses. When they are sophomores, they can apply for admission into the actual nursing program and take nursing courses their junior and senior years. The RN-BSN program is an online degree completion program for registered nurses who have earned an Associate Degree in Nursing (ADN) or a Diploma in Nursing from a hospital program. Both programs have received accreditation from the Commission on Collegiate Nursing Education (CCNE). The College of Nursing at the University of Massachusetts in Amherst offers the following undergraduate programs: a traditional four-year Bachelor of Science in Nursing, an accelerated BSN track for students with non-nursing bachelor's degrees and an RN to BSN track. The UMA College of Nursing graduate programs include the following: Graduate Certificate - Nursing Education, Master of Science - Clinical Nurse Leader (MS CNL), Doctor of Nursing Practice (DNP) and a Ph.D. in Nursing. The DNP program has five specializations: Family Nurse Practitioner (FNP), Public Health Nurse Leader (PHNL), Adult Gerontology Primary Care Nurse Practitioner (AGPCNP), Post Master's DNP Completion, and the Psych Mental Health Nurse Practitioner (PMHNP). The College of Nursing programs are accredited by the Commission on Collegiate Nursing Education. Through its Department of Nursing, Saint Cloud State University offers two undergraduate nursing degree options. The school's Bachelor of Science in Nursing is a traditional 68-credit BSN program. Students who already have an associate's or bachelor's degree in another subject can complete the BSN program in less than four years. The RN baccalaureate completion program is a 40-credit program designed for licensed registered nurses who want to earn a bachelor's degree. Admission into the nursing program at Saint Cloud State is highly competitive, with approximately 40 of 125 applicants being accepted. The program has received accreditation from the Commission on Collegiate Nursing Education. Farmingdale State College offers three undergraduate nursing degree options through its Department of Nursing. These options include a generic Bachelor of Science in Nursing program, a transfer Bachelor of Science in Nursing program and an RN to BS program. The generic Bachelor of Science in Nursing program is for students admitted as freshmen, and students in this program are required to complete general education and pre-requisite courses their first year before beginning nursing courses their second year. Students admitted into the transfer Bachelor of Science in Nursing program must have completed pre-requisite courses at another institution, so they can begin nursing coursework their first year. The RN to BS degree completion program is only open to students with a current RN license. The nursing programs at CSU Long Beach are CCNE-accredited (Commission of Collegiate Nursing Education). The Bachelor of Science in Nursing program admits registered nurses as well as basic students who have not completed an initial-level nursing program. All BSN graduates are eligible for certification as public health nurses in California. The Master of Science in Nursing program offers concentrations in nurse practitioner and in nursing and health systems executive management. Students who choose the nurse practitioner concentration can further specialize in family, pediatric primary care, adult-gerontological (primary and acute care), psychiatric-mental health, and women's health. A Doctor of Nursing Practice program is also available. Full-time nursing undergraduates can apply for the Rotary Club of Long Beach Nursing and Health Related Scholarship ($2,500). Western Illinois University's Bachelor of Science in Nursing is broken up into two parts with separate entry points. The pre-nursing program is for underclassmen, whereas the pre-licensure program is for students who have completed their general education and nursing support courses. Several department awards are reserved for BSN-seekers, including the Fink Nursing Scholarship, which goes to rural Midwesterners with financial need. The CAS School of Nursing Scholarship, meanwhile, is aimed at students with financial need who plan to work in community health in the region. The Department of Nursing at the Winona State University has been providing excellent nursing education in the southeast Minnesota region for over 40 years. It offers a Bachelor of Science in Nursing and an RN to BSN completion program. Students can choose to pursue a Master's (MS) or Graduate Certificate (GC) degree from the following programs: Adult-Gerontology Acute Care Nurse Practitioner, Adult-Gerontology Clinical Nurse Specialist, Adult-Gerontology Primary Care Nurse Practitioner, Family Nurse Practitioner, Nurse Educator and Nursing Leadership: Nursing and Organizational Leadership. A Doctor of Nursing Practice (DNP) and Post-Master's DNP degree can also be obtained from the above programs except as Nurse Educator. Instead, a DNP or Post-Master's DNP can be obtained in Nursing Leadership: Practice and Leadership Innovations. Stony Brook University's School of Nursing offers several degree options for students studying nursing at the undergraduate and graduate level. Undergraduate degrees are offered for both pre-licensure and post-licensure students, including a basic baccalaureate program, an accelerated baccalaureate program, a registered nurse baccalaureate program and a registered nurse baccalaureate to master's program. Master's degrees are offered in several specialties, including nursing education, nursing leadership and nurse midwifery. A master's degree in nurse practitioner studies is also available in six concentrations: adult-gerontological health, family health, perinatal/women's health, neonatal health, pediatric and psychiatric/mental health. Additionally, a Doctor of Nursing Practice degree is offered, as are nine graduate certificates. The school's nursing programs are accredited by the Commission on Collegiate Nursing Education. Castleton University has two options available for nursing students. The Bachelor of Science in Nursing is a traditional four-year pre-licensure program, and the RN to BSN program is a degree-completion program for nurses who have already completed a diploma or associate degree program. All nursing students can enhance their skills at Castleton's virtual hospital, or skills lab. At the virtual hospital, students can practice skills such as inserting a urinary catheter, taking vital signs, and giving intravenous medications. Nursing students are eligible for several dedicated scholarships, including the Betty Hale Perrin Scholarship in nursing, a need-based scholarship, and the Former Nursing Faculty Scholarship, which lists good humor among the qualifications. Bethel College Indiana has an array of programs for students who want to start or advance their career in nursing. Students can start with a two-year Associate Degree in Nursing or a four-year Bachelor of Science in Nursing. Registered nurses who do not yet have a B.S.N. can complete their degree through a hybrid program that combines in-person meetings with online coursework. Experienced nurses who want a role in nursing education or nursing administration can complete the Master of Science in Nursing in one of those two tracks. The Nursing Department has scholarships for students in a variety of categories including nursing as a second career and for students graduating one program and moving to the next level. Accreditation: Accreditation Commission for Education in Nursing, Inc. Through its College of Health Professions, Ferris State University offers four nursing degree options and one nursing education certificate. Undergraduate nursing degrees are available in two formats: a Bachelor of Science in Nursing and an RN to BSN completion program. The RN to BSN completion program is designed for licensed nurses and can be completed on a part-time basis at various locations in Michigan or completely online. Nursing graduate degree options include a Master of Science in Nursing and an RN to MSN accelerated track program, which can also be completed entirely online. The accelerated track program is designed for registered nurses who would like to earn both a BSN and MSN in a short time frame. The Wilson School of Nursing at Midwestern State University offers programs at the bachelor's and master's level. The Bachelor of Nursing is a prelicensure program that accepts students in the spring and fall through a selective process based on test scores and grades in prerequisite courses. Registered nurses can advance to a BSN through an RN transition program that requires two semesters for full-time students and four semesters for part-time students. Students enter the transition program in the fall. At the graduate level, nurses can earn a Master of Science in Nursing or post-graduate certificate in family nurse practitioner or psychiatric mental health nurse practitioner. Students start these programs in the fall semester. The College of Nursing is one of six colleges in the University of Florida Health Science Center, which includes Dentistry, Health Professions, Medicine, Pharmacy and Veterinary Medicine. The College pioneered the first nurse practitioner program in Florida, the first BSN to Ph.D. track and the Doctor of Nursing Practice program. There are over 80 faculty members, approximately 700 undergraduates, and 370 graduate students, about 80 of whom are doctoral students in Biobehavioral Nursing Science and Family, Community and Health System Science. The college is a member of the Council on Collegiate Education for Nursing of the Southern Regional Education Board and the American Association of Colleges of Nursing. Its degree programs are accredited by the Commission on Collegiate Nursing Education. According to U.S. News and World Report, the University of Iowa has one of the best nursing schools in the country, especially for aspiring anesthetists and administrators. It all starts with the BSN program, also available as an RN-BSN. Undergrads can tap into over 70 scholarships, and also apply for the Iowa Bioscience Advantage Program, which pays them to conduct research year-round, subsidizes travel costs for professional development, and covers their room and board throughout the summer. BSN-holders can apply for the Master of Science with a Clinical Nurse Leader focus, any of eight Doctor of Nursing Practice programs, or a PhD. Through its Decker School of Nursing, Binghamton University SUNY offers undergraduate and graduate level nursing programs accredited by the Commission on Collegiate Nursing Education. Undergraduate programs are offered to a variety of nursing students, including a traditional program for beginning freshmen, a transfer program, a baccalaureate accelerated track for students with a bachelor's degree in another field, an RN to BS program for registered nurses and an accelerated RN to BS program. Nursing master's degrees are offered in several concentrations, including adult-gerontological nursing, community health nursing, family nursing, family psychiatric mental health and a dual degree program in public administration and nursing. Two doctorate programs are also available: a PhD in Nursing and a Doctorate of Nursing Practice. The School of Nursing at North Dakota State University has three bachelor's tracks. The pre-licensure track is a four-year program that requires students to complete prerequisite classes and meet GPA minimums before entering the nursing program. The other tracks are degree-completion programs for RNs and LPNs. The department maintains facilities in Fargo and in Bismarck where students perform clinical practice. At the graduate level, the Doctor of Nursing Practice program is for nurses with a BSN who want to become a family nurse practitioner. This is a full-time, eight-semester program. To increase the number of Native Americans studying nursing, the nursing school grants the I-WIN Scholarships. Students can get up to $10,000 annually in tuition assistance and $10,000 stipends. The College of Nursing at Michigan State University provides various degree options to nursing students studying at the bachelor's, master's and doctoral level. Undergraduate students can choose from a traditional four-year BSN program, an accelerated BSN for students earning their second bachelor's degree and an RN to BSN program for registered nurses who have already earned an associate's degree or diploma in nursing. The school's Master of Science in Nursing degree is offered in three concentrations: a nurse practitioner concentration, a clinical nurse specialist and education concentration and a nurse anesthesia concentration. Doctoral degree options include a Doctor of Nursing Practice degree and a PhD in nursing. A certificate in college teaching is also available to doctoral nursing students. Minnesota State University-Mankato's School of Nursing offers a Bachelor of Science in Nursing and an R.N. to B.S.N. completion program. The School also offers graduate programs in family nurse practitioner studies and nurse educator studies and a Doctor of Nursing Practice degree. The Bachelor of Science in Nursing program consists of 59 major credits, including nursing courses in pathophysiology, pharmacology, assessment and community-oriented nursing. The R.N. to B.S.N. program is a 30-credit degree completion program that can be completed entirely online. Students entering the program must be licensed registered nurses with an associate degree. The Doctor of Nursing Practice degree is a cohort program designed for nurses who already hold a master's degree. The curriculum consists of 30 credits of coursework, including clinical experiences. The UNCG School of Nursing is one of two nursing schools in the country to earn the title of Center of Excellence by the National League of Nursing (NLN) for three consecutive terms. Additionally, the online Master's degree has been named one of the Best Online Programs by U.S. News. The school offers a Bachelor of Science in Nursing, a Master of Science in Nursing (concentration in Nursing Administration or Nursing Education), post-baccalaureate certificate programs (nursing administration and nursing education), and a Doctor of Nursing Practice program. Students in the school of nursing may be members of organizations such as the Sigma Theta Tau International Honor Society of Nursing, the North Carolina Nurses Association, the Nurses Christian Fellowship, and more. The Helen and Arthur E. Johnson Beth-El College of Nursing and Health Sciences at the University of Colorado offers three nursing programs. Students seeking entry-level preparation for professional nursing practice can pursue the Bachelor of Science in Nursing - Traditional option. Students completing their ADN or who currently hold an RN license can consider the RN to BSN or the dual enrollment program. The Bachelor of Science in Nursing - Accelerated option is a 16-month program designed for individuals who already hold a bachelor's degree in another field and who seek to pursue a BSN. The UCCS nursing program is accredited by the Commission on Collegiate Nursing Education, the Colorado Commission of Higher Education and the Colorado State Board of Nursing. Towson University's Department of Nursing offers undergraduate and graduate programs in nursing. Undergraduate programs include a traditional undergraduate nursing major, an R.N. to B.S.N. program and an Associate-to-Bachelor Dual Enrollment Nursing program. Graduate programs include a Master of Science in Nursing and graduate certificates in nursing education and clinician-administrator transition. Students enrolled in the traditional undergraduate nursing major start out as pre-nursing majors, completing pre-requisite courses their first two years before beginning nursing courses their junior year. During their senior year, nursing majors are required to complete a three-credit clinical practicum. The Master of Science in Nursing is a hybrid, cohort program that offers concentrations in nursing education and clinician-administrator transition. California State University Fullerton offers the following undergraduate nursing programs: traditional Bachelor of Science in Nursing (BSN) for entry-level freshmen with no prior nursing education, traditional BSN (CSUF Student Pathway) for current CSUF students who wish to pursue an RN license and a BSN, an LVN-BSN program, and an accelerated BSN program for students with a bachelor's degree in any field who wish to earn an RN license and a BSN. An RN to BSN program is also available, as is a Master of Nursing (MSN) and a Doctor of Nursing Practice (DNP) program. New and continuing BSN students can apply for the Health Professions Education Foundation BSN Scholarship (up to $13,000) and the Maria Dolores Hernandez Fund ($1,000 to $5,000). The Department of Nursing at Brigham Young University-Idaho offers two undergraduate nursing degree programs. The BSN program is a pre-licensure baccalaureate program designed for students who want to become registered nurses while earning a bachelor's degree. The RN to BSN program is designed for students who already have a nursing license but would like to earn a bachelor's degree in nursing. Students admitted into the BSN program must complete pre-requisite courses in their first four semesters before beginning the core nursing sequence in semester five. The RN to BSN program can be completed in a three semester sequence by taking two courses per semester or a six semester sequence by taking one course per semester. The Hunter-Bellevue School of Nursing, located on the Brookdale campus of Hunter College, runs one of the largest nursing programs in the U.S. Admission to the Bachelor of Science program is highly competitive, with only 100 students admitted annually. After being admitted to Hunter, students may apply to the nursing program in the spring of their freshman year. Hunter also offers a RN-to-B.S.N. program and an accelerated second degree nursing program, open to students who earned a degree in a field other than nursing who wish to enter the nursing profession. Graduate programs in nursing include a Master of Science in Nursing in the fields of adult/gerontology, community/public health, and psychiatric/mental health. A Doctor of Nursing Practice is also available. The Nursing Department at Saint Joseph's College-New York offers two programs for undergraduate nursing students. The school's Bachelor of Science in Nursing is a pre-licensure program for beginning undergraduates. The school's blended RN-BSN program is designed for students with an associate's degree or diploma in nursing. Students must complete at least 24 credits of lower-division course work at an accredited junior or senior college before being accepted into the nursing program, and at least 55 credits must be taken while enrolled in the upper division nursing program at the college. The school also offers a Master of Science in Nursing with two concentrations: adult-gerontology clinical nurse specialist studies or nursing education. The college's nursing program is accredited by the Accreditation Commission for Education in Nursing. The College of Nursing at Texas Woman's University offers a four-year nursing degree (Bachelor of Science in Nursing) and an RN to BSN program, which can be completed in one calendar year of full-time study. It also offers a six-semester, weekend/evening program for individuals who wish to earn an RN degree. There are seven master's programs (MS) offered by the College of Nursing at TWU: Nurse Practitioner, Clinical Nurse Leader, Nursing Education. Nursing Health Systems Management, RN MS, Post MS Certificate and Post Baccalaureate RN MS. There are two doctoral programs offered by the college - a Doctor in Nursing Practice (DNP) and a Doctoral Program in Nursing Science (Ph.D.). There is also a DNP to Ph.D. bridge program. The West Virginia University School of Nursing is part of the Robert C. Byrd Health Sciences Center, which also includes Dentistry, Medicine, Pharmacy and Public Health. WVU SON has four undergraduate programs: Bachelor of Science, Bachelor of Arts/Bachelor of Science to BSN, RN to BSN and RN to MSN. There are also four programs on the graduate level: Master of Science in Nursing (MSN), Post-MSN Certificate, Doctor of Nursing Practice (DNP) and Doctor of Philosophy in Nursing Science (PhD). Graduates of the MSN programs at the WVU School of Nursing have a 97 - 100 percent pass rates on national certification exams for Advanced Practice Nurses in all tracks. The Nursing & Health Professions department of SUNY Polytechnic University offer the following bachelor's degrees in nursing: R.N. to Bachelor of Science in Nursing, Bachelor of Science in Health Information Management and Bachelor of Professional Studies in Health Information Management. The department also has a 1+2+1 AAS/BS program in partnership with St. Elizabeth College of Nursing. This program allows high school students who are entering college immediately after graduation to earn two nursing degrees in four-years. There are two graduate programs available (MS in Family Nurse Practitioner and MS in Nursing Education) and three advanced nursing certificates (Nursing Administration, Family Nurse Practitioner and Nursing Education). All nursing programs are accredited by the Commission on Collegiate Nursing Education. UNC Charlotte offers a variety of nursing programs at all levels. The Bachelor of Science in Nursing is a four-year program that prepares students to take the licensing exam to become a Registered Nurse. Students must apply to enter the upper division of the major, and admission is competitive. The school also has a R.N. to B.S. completion program for nurses who earned an associate degree or diploma. Graduate nursing programs include Master of Science in majors such as Family Nurse Practitioner, Adult-Gerontology Acute Care Nurse Practitioner, Nurse Anesthesia, Community/Public Health Nursing, Nurse Educator, and Nurse Administrator. The School of Nursing also offers a Doctor of Nursing Practice program that prepares nurses for leadership roles in the health care system. The nursing program at SUNY College at Plattsburg is accredited by the Commission on Collegiate Nursing Education and holds membership in the American Association of Colleges of Nursing and the Council of Deans of Nursing of Senior Colleges and Universities in New York. The department offers a Registered Nurse (R.N.) to Bachelor of Science (B.S.) in Nursing program, which can be pursued on-campus or completely online. For online students, SUNY Plattsburgh uses the Blackboard learning management system. The SUNY Plattsburgh online nursing program is a top-ranked program nationwide. The department also offers a traditional four-year nursing program (Bachelor of Science in Nursing). The School of Nursing at Stanislaus offers two tracks that lead to a Bachelor of Science in Nursing degree. The traditional pre-licensure nursing track is offered on a full-time basis only, while the RN to BSN track can be pursued on a full-time or part-time basis. There is also an Accelerated Second Bachelor of Science in Nursing (ASBSN) program available. The ASBSN program is designed for students who already have a bachelor's degree in a non-nursing field and who wish to earn a second degree in nursing. The Master of Science in Nursing available at Stanislaus offers two areas of emphasis - nursing education and gerontology. The Volunteers of Memorial Medical Center Nursing Scholarship ($1,000) considers academically outstanding Nursing students with financial need. The School of Nursing at Fresno State offers the following nursing programs: Bachelor of Science in Nursing (BSN), Master of Science in Nursing (MSN), Doctor of Nursing Practice (DNP), a post-baccalaureate School Nurse Services Credential program, and a post-master Nurse Practitioner Credential program. The DNP program is administered jointly with San Jose State University and is officially known as the California State University, Northern Consortium Doctor of Nursing Practice. The program is accredited by the Commission on Collegiate Nursing Education (CCNE) and the Western Association of Schools and Colleges (WASC). Nursing students pursuing graduate-level studies and who are from under-represented groups may be eligible for the NLN Foundation for Nursing Education Accepting Applications for Scholarship Awards (up to $8,000). CSUN offers a Bachelor of Science in Nursing (BSN) degree through the College of Health and Human Development. The program can be completed on a full-time or part-time basis. There is an Accelerated BSN program for students who are not registered nurses, but who already have a non-nursing bachelor's degree. A 15-month cohort program, the A-BSN also prepares students to sit for the National Council Licensing Examination (NCLEX). Students who already have their associate degree in nursing (ADN) from a partner community college can complete their BSN at CSUN under the Community College-CSUN ADN to BSN Collaborative Program. The Robert Wood Johnson Foundation: Scholarship to Nursing Students program supports low-income and under-represented nursing students so they can participate in the A-BSN program. The Department of Nursing at Missouri Southern State University offers a Bachelor of Science in Nursing degree, an R.N. to B.S.N. program and a Master of Science in Nursing. The B.S.N. program requires 94 to 97 major credits, including coursework in pharmacology, adult nursing, mental health nursing, gerontologic nursing, nursing ethics and advanced health assessment. The M.S.N. program is a 43-credit program that offers Family Nurse Practitioner certification. This full-time program can be completed through a combination of on-campus and online learning in five semesters. M.S.N. students complete coursework in advanced nursing informatics, primary care, health assessment, pathophysiology and advanced pharmacology. M.S.N. students are also required to complete a capstone experience and 765 clock hours of clinical experiences. Niagara University has three programs that lead to a Bachelor of Science in Nursing, with each program designed for a particular kind of student. The four-year degree in nursing is a traditional program preparing students for nursing careers. The program requires students to take clinical courses at health care agencies and qualifies students to take the licensing exam to become a Registered Nurse. The Accelerated B.S. in Nursing is a one-year post-baccalaureate degree for students who already have a bachelor's degree and who want to train for a nursing career. The RN to B.S. completion program is for nurses who earned an associate degree or diploma in nursing and who wish to earn a bachelor's degree. The College of Nursing at USF offers an RN to BSN program, as well as an upper division sequence (for students who have completed all nursing pre-requisite courses) and a second degree sequence (for students who have a non-nursing bachelor degree). A Master of Science in Nursing (MSN) is available, in addition to accelerated AS to MSN and RN to MSN programs. MSN students can choose from the following areas of concentration: adult-gerontology acute care, adult-gerontology primary care, clinical nurse leader, family health nursing, nurse anesthesia, nursing educator, pediatric health nursing, and adult-gerontology primary care nursing/occupational health nursing. Doctor of Nursing Practice and Doctor of Philosophy in Nursing programs are also offered. Teaching and research assistantships covering full in-state tuition are available. Looking for an affordable education in nursing? You’ve come to the right place. We’ve analyzed thousands of colleges and universities to determine which schools offer solid nursing degrees for students on a budget. Each detailed listing includes information on the school’s programs, accreditations, accepted credits and weekend/evening classes. Plus, for those new to the field, we’ve provided a primer on the nursing profession. Here you can discover what type of nurse you’d like to be, and what kind of degree you can earn. We also take a look at what state and ACEN/CCNE accreditation means for your school and your career. What Kind of Nurse Can I Become? Many nurses find their first job as an LPN. In Texas and California, you’ll see this qualification referred to as a Licensed Vocational Nurse (LVN). Tasked with basic nursing duties like collecting samples or monitoring vital signs, LPNs or LVNs always work under the supervision of a Registered Nurse (RN) or a medical doctor. To become an LPN, you must complete a state-approved LPN program and successfully pass the NCLEX-PN examination. RNs have greater job responsibilities and much more independence than LPNs. As a registered nurse, you may be caring for patients in the ICU or ER, managing nursing care units and working in hospital leadership roles. At the end of your studies, you should be ready to take the NCLEX-RN examination. Once you’ve passed the exam, you must then earn your RN license. A career rung above RNs, APRNs focus on certain types of specialty care. For example, nurse practitioners take on many of the same tasks as primary care doctors; nurse anesthetists are allowed to administer anesthesia. Summary: You can become a licensed practical nurse by completing an LPN associate or diploma program from a community college, vocational school, university or hospital. This will prepare you for the NCLEX-PN exam. Time Commitment: An LPN qualification usually takes one year of full-time study or two years of part-time study. Around one third of your coursework will be done in the classroom (e.g. anatomy, biology) and two thirds in a practical clinical setting. For added flexibility, you might find LPN courses being offered online. Note: Remember that the LPN is just the beginning. Once you’ve found a job, you can start looking at ways to gain your ADN or BSN. Summary: An Associate Degree in Nursing (ADN) is designed to train you as a Registered Nurse (RN). Time Commitment: ADNs are offered by community colleges, vocational schools and universities and typically take two years to complete. Coursework is focused on technical skills rather than theory. Note: Many organizations, including the American Nurses Association (ANA) and the American Association of Colleges of Nursing (AACN), are pushing for RNs to hold a BSN. In 2010, the Institute of Medicine suggested that 80% of nurses should have a BSN by 2020 (“80/20” proposal). So you may wish to consider using the ADN as a steppingstone to a BSN. Summary: LPN to ADN bridge programs are designed to help students with LPN qualifications become entry-level RNs. Being an RN will increase both your job opportunities and your pay scale. Time Commitment: Bridge programs can last 1-2 years. Instead of having to do the full ADN degree, you will take classes you may have missed in LPN training and engage in practical clinical work. Some classroom courses are offered online. Note: Check with your employer to see if you are eligible for tuition reimbursement. Some will sponsor LPNs to become RNs. Summary: A Bachelor of Science in Nursing (BSN) is one of the most flexible and coveted nursing qualifications. In addition to training you to take the RN exam, a BSN provides you with leadership skills and extensive hands-on experience in clinical work. Time Commitment: BSNs take four years of full-time study to complete. Courses are a blend of hard science (e.g. anatomy, physiology), liberal arts (e.g. English, foreign language), advanced topics in health care (e.g. evidence-based practice, technology, patient safety) and clinical work in health care settings. Like other nursing degrees, some courses may be offered online in a hybrid format. However, practicals will be conducted at a local hospital or campus. Note: Despite the cost and time commitment, a BSN is going to open many doors to career advancement (e.g. mid-level administration, working in a community health setting, etc.). In addition, some specialized certifications require nurses to hold a BSN or higher. Summary: The LPN to BSN bridge program is designed to help licensed practical nurses become RNs with a BSN degree. Interested in greater independence, more career options and management opportunities? A BSN is worth investigating. Time Commitment: LPN to BSN bridge programs can be completed full-time (typically four semesters) or part-time. Through the College Level Examination Program (CLEP) and DSST, LPNs can earn college credit by demonstrating mastery of prerequisite courses or degree requirements. Summary: An RN to BSN bridge program allows registered nurses with an associate degree or diploma to apply their prior learning to a BSN. With a BSN, you increase your job opportunities and boost your pay. Time Commitment: The RN to BSN program takes about two years. Institutions usually accept coursework from an ADN, but nurses can also earn credits for on-the-job training or independent study. To make it easier on working nurses, schools often offer rolling start dates. Online RN to BSN programs are also commonly available. Most schools will require you to hold a BSN and a valid RN license. A master’s degree is required if you wish to become an APRN. Time Commitment: Full-time programs take approximately two years to earn. However, since most nurses are working while studying, many MSN degrees are completed part-time and online. Coursework will be focused on your particular area of interest and most programs will require you to complete a thesis or capstone project. Note: Explore funding options. Some employers are willing to partially finance your MSN if you agree to work for them for a number of years. RN to MSN: RNs with an ADN can choose to gain an MSN without earning a bachelor’s degree. This is a good option if you know what you wish to specialize in. Direct Entry: This program is intended for students who hold a bachelor’s degree in a separate field. It will help you achieve your RN before launching you into master’s level studies. Dual Master’s: One of the most time-intensive programs, a dual master’s combines a nursing degree with a related field (e.g. business, public health or public administration). MSN/PhD: Intended for BSN graduates, this dual degree condenses masters and doctoral nursing work into a 5-year program. Time Commitment: Time commitments will vary according to the program and job responsibilities. For example, a full-time, direct entry MSN program can take three years to complete. An RN to MSN degree might last 3 to 5 years. Fortunately, universities try to make it easy for working professionals. Like RN to BSN programs, RN to MSN courses are often offered online and on a rolling basis. Summary: A doctoral degree in nursing is the highest academic qualification you can achieve. It will train you for a career in nursing research, health administration (e.g. executive positions), public policy, university teaching or high-level APRN jobs (e.g. nurse practitioner). Every state has a board of nursing. This board sets standards and approves schools that train nurses for the NCLEX examinations (e.g. PN, RN). If a program isn’t state-approved, you will be unable to sit the exams or obtain licensure. Your first step in looking at schools is to make sure your program is accredited by the state. Search for a State Board of Nursing. The Department of Education has sanctioned two national organizations to accredit nursing education programs. It’s not necessary for your nursing program/school to have these accreditations, but it’s a big plus (see Why is ACEN/CCNE Accreditation Important below). Formerly known as the National League for Nursing Accrediting Commission (NLNAC), ACEN is responsible for accrediting all levels of nursing education programs, including diploma, associate’s, bachelor’s and master’s degrees. CCNE focuses on nursing programs offering bachelor’s, master’s and/or DNP degrees. Like ACEN, it sets a series of nationally recognized standards and evaluates schools with a non-governmental, peer review process. Why is ACEN/CCNE Accreditation Important? There are plenty of strong, non-accredited nursing programs out there. However, you’re limiting your future choices when you attend one. Unsurprisingly, most CCNE or ACEN accredited schools have also received the seal of approval from their state nursing boards. However, it doesn’t always work the other way around. Some state-approved nursing schools have not been recognized by a national accreditation body. So if you’re interested in going to an accredited graduate school, make sure your undergraduate program is approved by both the state nursing board and ACEN or CCNE (or a specialty nursing organization such as ACME).